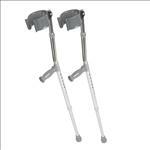 Guardian Forearm Crutches; MUST CALL TO ORDER . 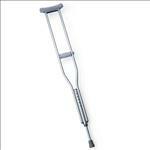 � Vinyl-coated, tapered, contoured arm cuffs mold to user for extra comfort. � Heavy-wall, high strength aluminum tubing. � Black components hide signs of wear and scratches.